In the U.S., an injury-related death occurs about every 3 minutes, and injuries kill more people between the ages of 1 and 44 than cancer, heart disease, or any other threat. When you have suffered the heartbreaking loss of someone you love because of the negligence or carelessness of another, you may be entitled to pursue a claim for wrongful death. In the experienced wrongful death lawyers at Associates and Bruce L. Scheiner, Attorneys for the Injured, you’ll find the compassionate and skilled professionals you need to help your family through the difficult aftermath of a loved one’s death. Our firm will review your case free of charge. Call today to request a confidential evaluation. The sudden and unexpected loss of a loved one is one of the most traumatic experiences a family can endure. Bereavement is amplified when a person dies as a result of someone else’s carelessness, recklessness, criminal act or negligence. For more than 40 years, Associates and Bruce L. Scheiner, Attorneys for the Injured, has tirelessly dedicated our services to those who have suffered these losses. We know our efforts will never bring back a lost child, parent or spouse. However, we believe monetary compensation in these situations serves two purposes. The first is to ensure dependent family members are provided for financially. The second is to hold negligent individuals and companies accountable for their actions and oversights. The Florida Wrongful Death Act, codified in F.S. 768.16-768.26, allows certain survivors to file a civil lawsuit against those who caused death through wrongful act, negligence, default or breach of contract or warranty. While it’s understandable that legal action may not be first on one’s mind in the wake of such emotional turmoil, it’s important to recognize loss of a loved one can have serious financial implications for families. In speaking with an experienced Fort Myers wrongful death attorney as soon as possible, survivors can help preserve important evidence and arguments to bolster the case, and ensure statutory deadlines for filing aren’t missed. A wrongful death is one that is caused by negligent or intentional harm. Negligent acts or omissions could include careless driving, drunk driving, medical malpractice, failure to provide adequate security, failure to keep a property in safe condition or manufacturing a product that is defective and unsafe. Intentional harm, meanwhile, would mean an attack or some other knowing act resulting in a human death. It isn’t necessary for defendant to have intended death in these instances. It is also worth noting plaintiffs can still bring civil action while the criminal case is winding its way through the system. There may be some circumstances under which the court may delay civil action until completion of the criminal case, but the two are mutually exclusive; neither controls the other. Each carries a different proof burden and aspires to different goals. A criminal case seeks punishment of defendant, while a civil case seeks to make victims whole to the greatest extent possible. In order to prove wrongful death in court, a lawyer needs to establish the defendant had a duty of care to deceased, defendant breached that standard of care via act or omission and that wrongful action was the proximate (or direct) cause of injury or death to decedent. Florida statute allows a wrongful death case to be brought by the personal representative of decedent’s estate. This will be the person in charge of the probate estate of decedent, and it is technically the estate that initiates claim of wrongful death on behalf of statutory survivors as outlined by Florida law. Our firm can help clients take the steps necessary in filing a wrongful death lawsuit. Usually, a personal representative is a surviving spouse. However, there are sometimes disputes regarding who should be named to this position, and it’s important to have an attorney who can advocate on your behalf. Bear in mind the statute of limitations for filing a wrongful death claim is two years from the date of death. While cases filed right up against the deadline may pass muster, there could be complications, and the more time your lawyer has to handle them, the better. Very rarely do courts grant exceptions to the statute of limitations in wrongful death cases, which is why it’s imperative to consult with a lawyer as soon as possible. Each survivor is entitled to recover the value of lost support and services of decedent, with interest. Spouses may recover for loss of companionship and protection and for mental pain and suffering. Children may recover for loss of parental companionship, instruction and guidance and for mental pain and suffering. Parents of minor children may recover for mental pain and suffering, as can parents of adult children. Medical and funeral expenses related to decedent’s injury or death is recoverable, as is the loss of earnings. 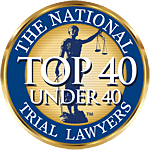 The actual amount of the award is going to depend on a host of factors, including plaintiff’s relationship to decedent, the age and earning power of the decedent and the nature of the accident. In rare cases, a trial court may grant plaintiffs the right to pursue punitive damages, intended to punish defendant for willful and wanton harm. Compensation is typically much higher in these situations.